This year’s Unilever Chef of the Year 2018 competition, titled “Bring It”, took place on the 5th of September. And boy, did our young chefs bring it! In a nail-biting cook-off, with a total of 54 chefs competing throughout the day for the top spots, 1000 Hills Chef School pulled it out of the bag to score two major titles. Second-year Advanced student Josh Green took the honours, winning with an outstanding display of culinary skill. Chef Shaista Anoop (1000 Hills Chef School Pastry Lecturer) was hot on his heels taking first runner-up. This is now the second time that 1000 Hills Chef School has taken first and second place in the competition. Josh and Chef Shaista took part in the junior division of Unilever Chef of the Year 2018. To qualify they competed against four other young chefs at the regional finals. Each chef was required to produce a three-course meal using Unilever Food Solutions products. Josh almost didn’t enter, feeling frustrated at the last minute with how his entry dish wasn’t working out. But, principal Chef Jade encouraged him to go for it. His hard work paid off, and he and Chef Shaista joined finalists from Johannesburg and Cape Town for the Mystery Box cook-off. Winning Unilever Chef of the Year 2018 has been a surreal experience for Josh. He said it was completely unexpected, but it was “the best cook of his life”. His calm nature under pressure in the kitchen certainly helped clinch the title. Josh’s family, only the other hand, almost jumped a hole through the ceiling when they watched the live video stream of him winning. He hopes to work internationally to gain more experience after graduating at the end of the year. Joining Josh and Shaista was Jaid Jhala competing against leading SA chefs in the Senior Chef of the Year category for over 25 year old chefs. Jaid worked in catering in her home country, Zambia, before pursuing a formal, internationally recognised qualification at 1000 Hills Chef School. The competition was tough, with experienced rivals including last year’s junior winner and a member of the SA Culinary Olympic team. 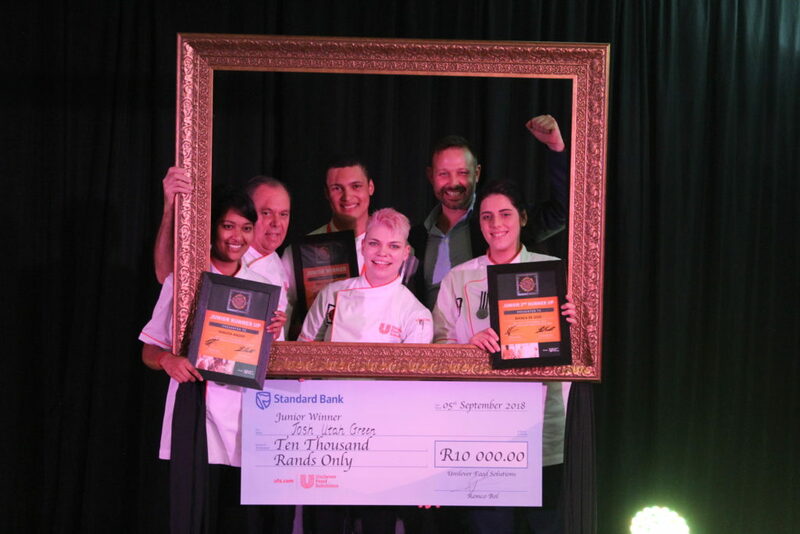 Juan Neethling, Executive Chef of Southern Sun Waterfront Hotel in Cape Town, took the title. Our current students weren’t the only ones representing the school at Unilever Chef of the Year 2018. 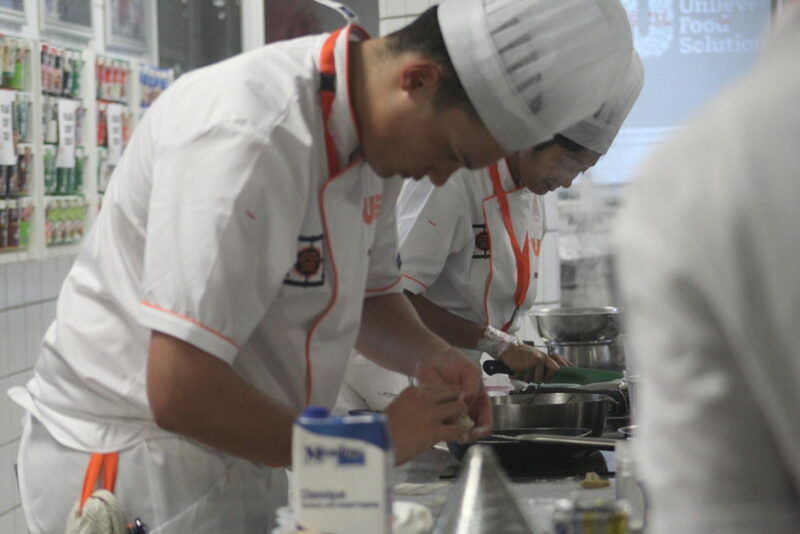 Two of the chefs competing in the various categories of the competition were 1000 Hills Chef School graduates. 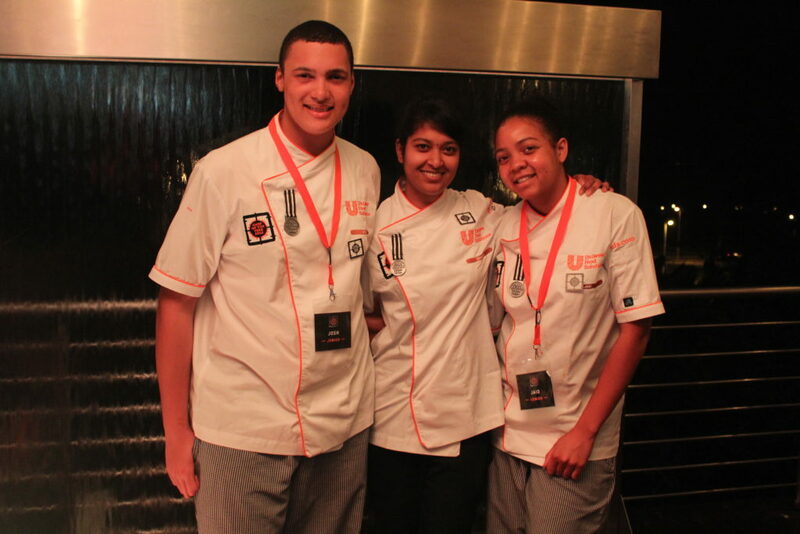 Pastry Chef Shaylan Pillay (Class of 2009) and her team-mates from The Oyster Box took the win in a new High Tea category. Shivan Govender (Class of 2011) headed up a team of four from FEDICS Caterers. “Representation from 1000 Hills Chef School in every category of the competition is an amazing achievement. It shows that well-trained chefs build on their careers and keep on learning in this challenging industry”. Our students have been making it to the finals of Unilever Chef of the Year since 2006 and placed multiple times. View our awards page for a list of titles to date.